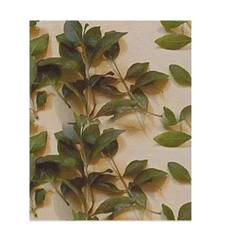 At Green Earth Produtcs , we have incorporated various facilities and latest technology such as state of the art manufacturing unit with sophisticated tools , prompt delivery , huge production capacity . Our well trained and dedicated team of professional having extensive experience ensure that pure Henna can be extracted. Henna (Lawsonia Inermis) is an open shrub with heavily scented, small cream flowers and blue-black fruit. An essence extracted from the leaves is popular and known as Henna. 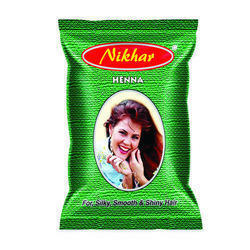 We offer Henna Powder Packet. Our organization hold expertise in providing superior grade Natural Mehndis to our precious customers. Our offered Natural Mehndi is widely appreciated by our customers, which are situated all round the nation. Known for its best quality, clients can avail this Natural Mehndi at industry leading prices from us. This kit simplifies the art of mehandi application and helps in making dark and beautiful design patterns on hands, feet and other body parts. v Mehandi powder- made from best quality leaves mehandi plant and finely sieved. We are engaged in processing a wide variety of Brown Henna, which is used for coloring grey or white hair. Free from any kind of chemicals, this Henna leaves no side effect when used. Known for adding silkiness and shine to the hair, this Henna is supplied at industry leading prices. People all over the world continue to use henna, primarily for cosmetic purposes. Henna paste, henna kits & other henna products are easily available to people of all ages for fun use. Henna is used as a traditional form of body painting, usually on the hands and feet. This body art form has been used for centuries in countries from Morocco to India. Made up of 100% pure heena leaves.